With a G.I.A. 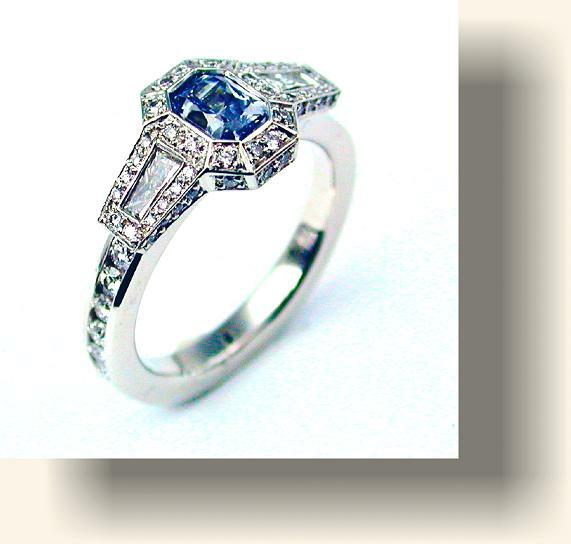 certified, natural, intense color, 0.55ct Blue Diamond. Surrounded with pave' set Diamond melee and a channel set Eternity band.